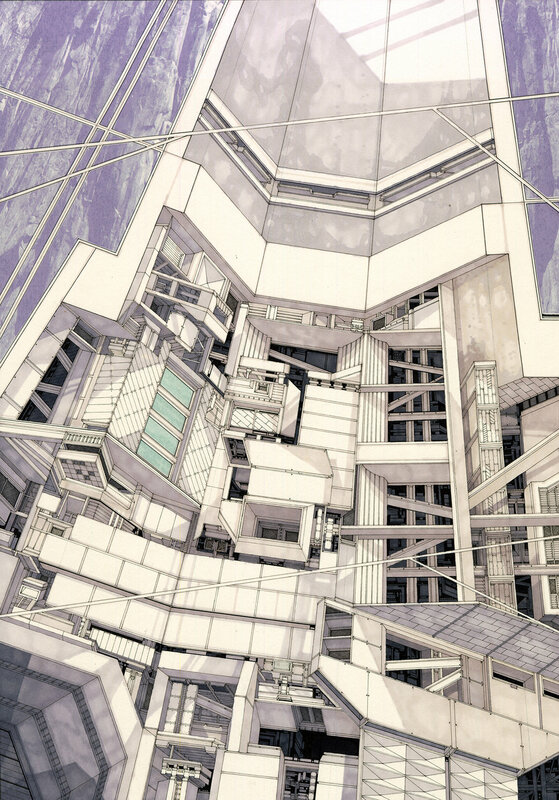 Found Facilities — Alephograph: Architecture, drawing and video games. 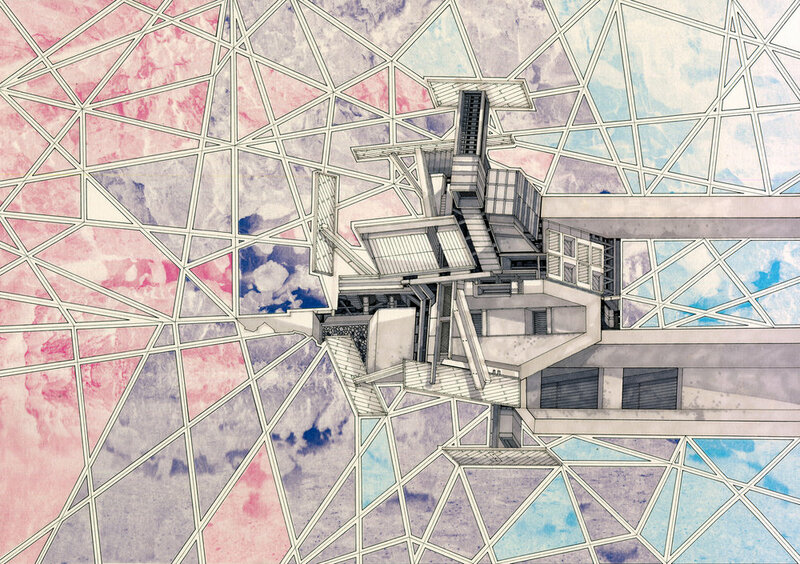 A series of drawings taking the notion of the redundant technological surface fabric as a new typology of adornment - inspired by the underground facilities and exploitations of landscape man makes - tracing a path from the Titan Silo to Onkalo. Drawings 29.7 x 42 cm, pen and marker on paper.